Leaders around the world are starting to understand that sustainable cities are resilient ones. Urban centers as diverse as New Orleans, Montreal, and Singapore are investing in blue/green corridors of land and water for the multiple benefits they deliver. 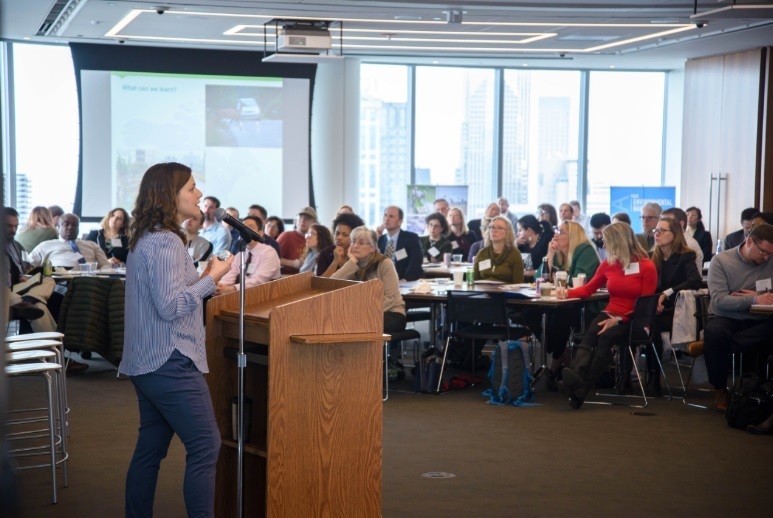 This year's Chicago River Summit, an annual professional conferenced hosted by Friends of the Chicago River, focused on blue/green corridors and their benefits. With a theme of "Making Space: The Value of the Blue/Green Corridor," the sold-out summit attracted more than 120 participants. At their foundation blue/green corridors connect open space, creating places for people to play, wildlife to travel, and land to absorb and filter rainwater. The positive impacts also include social benefits, economic benefits, and a multitude of environmental ones by creating wildlife habitat, reducing combined sewer overflows, and linking important ecosystems. In the face of climate change and the pressure from urban development, it is critical that blue/green corridors are established, enhanced, and protected to benefit people, plants, animals, water, and our quality of life. With 168 miles of existing trail near the river-edge, over 32,000 acres of publicly owned open space within a half mile of the water, and the growing realization that the Chicago River system is of value to us all, opportunities for a healthy and accessible blue/green corridor abound. 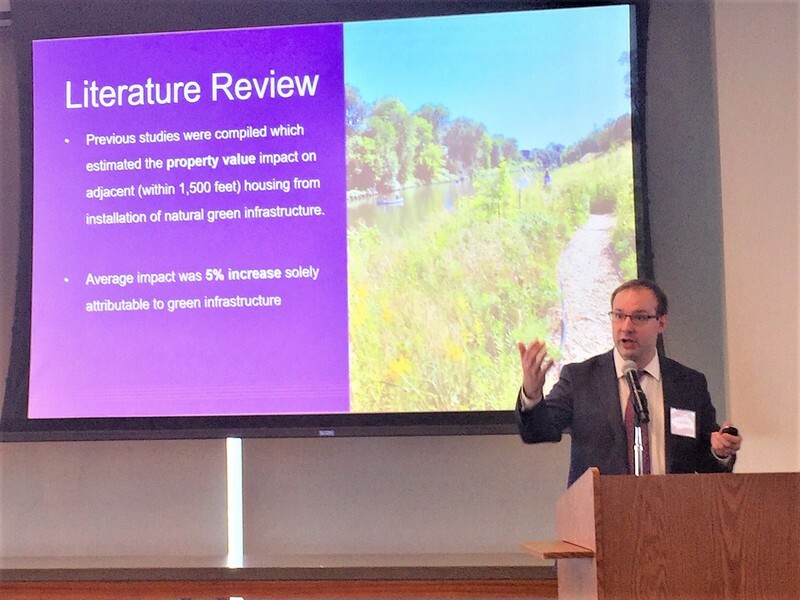 The summit, held March 14, 2019 at the downtown offices of McDermott Will & Emery, featured a number of experts who spoke on the benefits of considering river systems as natural open corridors rather than fragmented landscapes. In support of our vision, Friends released a new study we commissioned from the University of Wisconsin-Whitewater's Fiscal and Economic Research Center. "The Blue/Green Corridor: Establishing the Intersection Between Economic Growth and Environmental Design" found that a people, wildlife, and environment-friendly approach to river-edge development would create an additional $192 million in total economic benefits annually over a 15-year timespan. Beth White, president and chief executive officer of the Houston Parks Board, explained how Bayou Greenways 2020, a public/private initiative to link eight bayous with a 150-mile network of parks and trails, is helping change Houston's overall image. "Houston is known for its freeways and we're trying to get that image to recede into the background and really bring out the bayous because we really are 'The Bayou City,'" White said. Hundreds of millions of dollars are being spent in Houston to bring folks closer to nature because "the best economic strategy you can have as a city is to become a place where people want to be." Bringing flood control into the equation can help build broader support for blue/green corridor creation, she added. Friends' Andy Donakowski and Horacio Martinez Michel of the design and consultancy firm Arcadis talked about Friends' new Public Lands Natural Area Assessment Web Mapping Application that examined almost 150,000 acres of property within a half mile of the Chicago River system riverbank. A third of the parcels are publicly owned and ripe to serve as the framework for a blue/green corridor. Liza Lehrer of Lincoln Park Zoo's Urban Wildlife Institute spoke of how blue/green corridors help animals thrive by increasing their mobility. Betsy Daub of Friends of the Mississippi River talked about ecologically sound river corridor development in the Twin Cities. And Naureen Rana of the Chicago Park District told of the tremendous successes of the Burnham Wildlife Corridor, a gem on the lakefront from McCormick Place to 47th Street. "The river is good news. We're making it better and people want it. 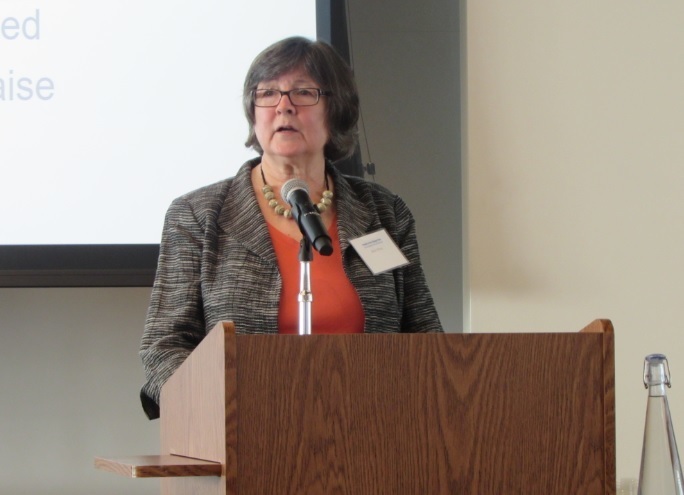 The story is that there is so much there," Friends' executive director Margaret Frisbie said during a concluding "possibility panel" moderated by Skidmore Ownens & Merrill partner Doug Voight. "There's a new baseline for success right now. We have changed the Chicago River system into something that will never go back. There's no way we're going back to sewage in the river three days a week, there's no way we're going back to when no one cared about runoff pollution," Frisbie said. "People are now interested in chlorides and litter and they're volunteering. They now understand that this is a natural resource they need to protect and something that belongs to all of us." 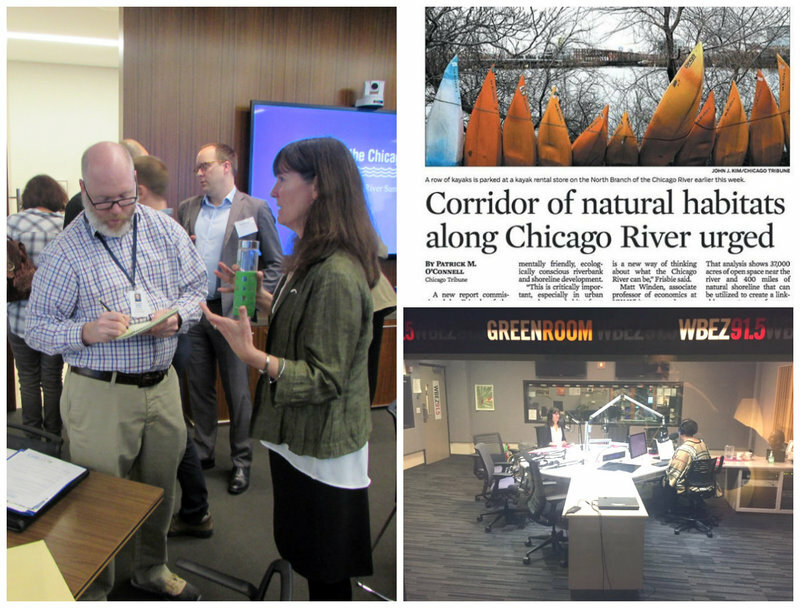 The summit this year attracted media attention from the Chicago Tribune, WBBM Newsradio, WTTW Channel 11, WGN radio, and WBEZ radio.